In case you haven’t noticed, we’ve recently expanded our offering with the addition of accommodation and car rental to our booking portal and bringing this to you by means of a brand spanking new website! You can now FLY, STAY & DRIVE with us! Planning a holiday can be daunting, time consuming as well as frustrating. We wanted to create a one-stop travel shop that is accessible and easy to use, removing the pain of planning so that customers can enjoy more time looking forward to their trip. Instead of trawling through hundreds of sites to search for flights, hotels and cars, we’ll do the searching for you across airlines, hotels and car rental companies. “Booking a trip includes getting there, finding a place to stay and being able to get around. When you’ve booked those three essentials, your trip is pretty much made. I decided to power my accommodation offering with Booking.com in particular as I find their site to be extremely popular and easy to use, and they also offer a huge variety of guesthouses and hotels to suit your needs. Rentalcars.com as my car rental partner was also a no-brainer as they search across big names like Avis, Europcar, Budget and more to bring you the best deals on car rental. Now there is no need to visit all the individual websites in search of a good deal, it’s all in one place,” says ClickClickGo owner, Tania de Jager. 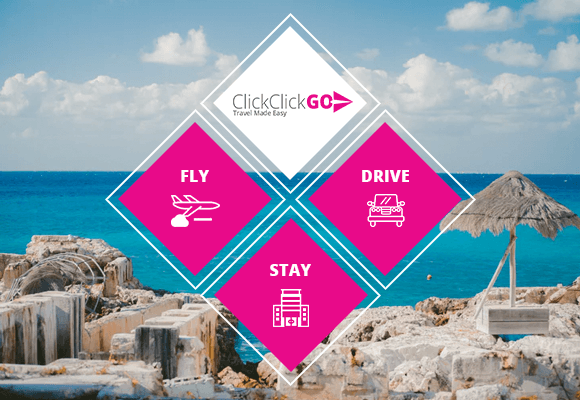 With more services on offer, we hope to establish ClickClickGo as the top of mind travel booking website for both business and holiday travel. The aim is to make it easy, quick and enjoyable to plan your trip without spending hours weighing up different options. 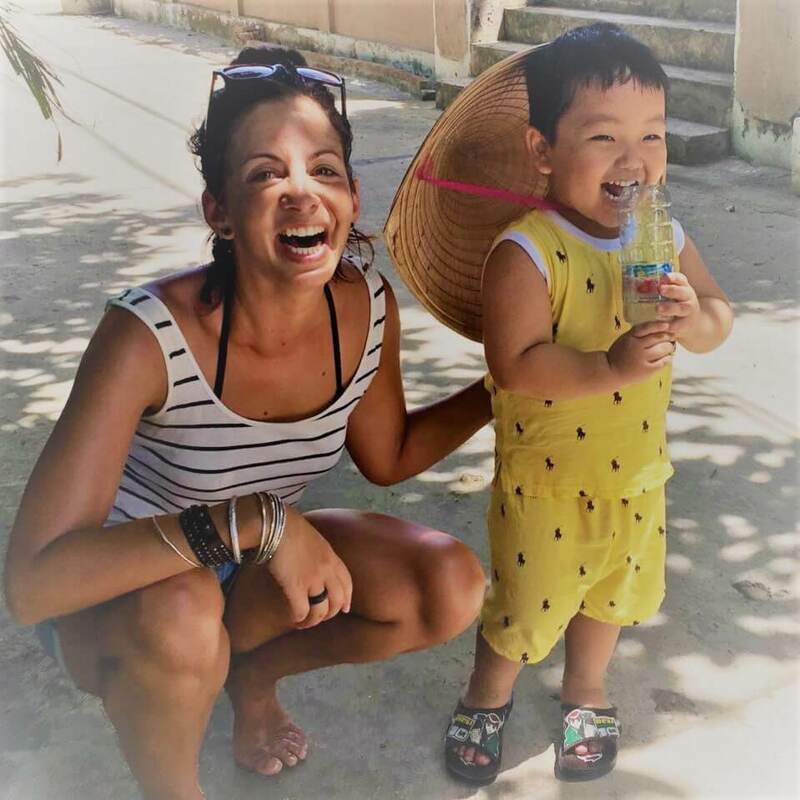 “ClickClickGo wants to put the fun back in travel and also inform and inspire customers with regular travel features and travel inspiration for the next trip,” says Tania. 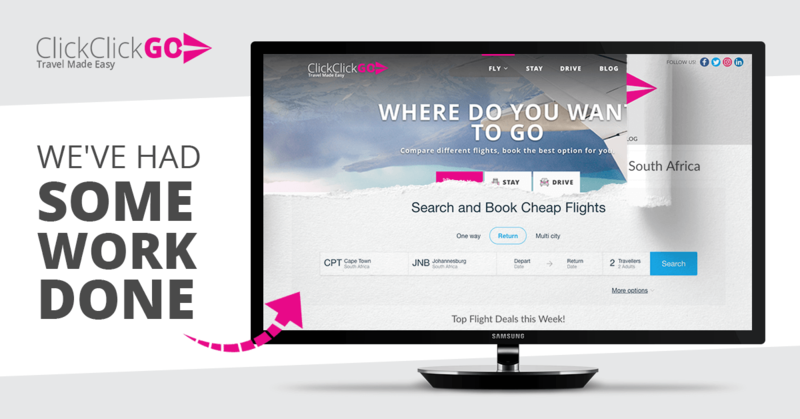 What sets ClickClickGo apart is the fact that online travel bookings are made easy and simple, giving equal weighting to flights, accommodation and car rental. We cater for all travel needs in one place which saves you time and effort. ClickClickGo is not just an e-commerce site, we also inspire through blogs, social media and travel inspirations pages. “Realm Digital was very excited to embark on this project with ClickClickGo as not only did this expand their service offering as a business, but it has made them more accessible to the market in the travel space. A great initiative that we look forward to unpacking further in the future,” says Realm Digital’s Client Service Director, Shannon Moore. No need to wait – let’s GO!